This is the first public release of EduFinder from JTB World. EduFinder is an add-on to AutoCAD based products. Find and identify AutoCAD drawings (DWG) that contain the educational stamp. Available as AutoCAD App (Plug-in). Do you want to find and identify AutoCAD drawings (DWG) that contain the educational stamp because the DWG has been "infected" by an Autodesk educational product? EduFinder quickly can search through all your drawings on your network quickly and produce a log of the drawings affected. If you want to do an inventory of all drawings on your network EduFinder will quickly help to locate all the drawings with the educational stamp. Download and try EduFinder and see how it works. The Units Converter from Autodesk is a “handy tool that lets you convert a wide variety of measurements from one system to another. Use it anytime, from anywhere, all for free”. Another option I often us is Google where I in the search field enter for example 1 ft to m and get the result 1 foot = 0.3048 meters. Cascade Licensing for Autodesk Products explained shows some of this complexity. Cascading Sequences for Autodesk 2013 Products let you know in what order cascade licensing checks for available licenses in Autodesk 2013 products and here are the Autodesk FlexNet Feature Codes with descriptions that are useful to understand Package licenses and prior version support as well as Prior version support and license usage of Autodesk Suite products. Many have found JTB World’s JTB FlexReport useful to monitor and audit their Autodesk license usage. There are many different reports that can be generated in chart or list form. There is still room for improvements though. JTB FlexReport supports email notifications when licenses are denied but when cascading is used there will often be denials when the license cascade from one feature to another. Another problem with the cascading is that there is no way from the license server logs to see what actual Autodesk product was started by the user, hopefully Autodesk can do something about this in the future. If it is of interest to know that information we have JTB Process Monitor that will be able to tell if it was AutoCAD or Revit or whatever product being used and how much. DWG Columns 1.3 is now available with support for the new DWG 2013 file format for drawings that was introduced with AutoCAD 2013. With DWG Columns you can show the DWG properties and DWG metadata in Explorer columns or even in file dialog boxes within AutoCAD or other applications. For a limited time you can download a fully functional time limited trial from the DWG Columns page. You can use it until 30-SEP-2012. After that it will work as a freeware but only showing the DWG version column. Existing customers will be emailed a link to the fully functional version. Use DWGPROPS to edit the drawing properties with AutoCAD and automate it using Propulate tutorial for DWG properties. Properties supported are from the Summary tab: Title, Subject, Author, Comments, Hyperlink base and from the Custom tab the first 10 custom properties in the list. To see properties in an infotip (tooltip) see DwgInfoTip. DwgInfoTip 1.3 is now available with support for the new DWG 2013 file format for drawings that was introduced with AutoCAD 2013. Show the DWG properties as an Infotip (tooltip) in Explorer or even in file dialog boxes within AutoCAD. Freeware and trial version available to download at DwgInfoTip. Use DWGPROPS to edit the properties with AutoCAD and automate it using Propulate tutorial for DWG properties. To see the properties in Explorer columns see DWG Columns. I was emailed about this problem and the AutoCAD user found that the last solution helped in his case. If you have this problem take a look at the links below. When you started the product and chose the Register and Activate option, the Product Activation wizard displayed only two radio buttons that did not have any associated text descriptions. Also, there were no Next or Cancel buttons that would allow you to proceed with the activation or cancel it. Solutions are found at TS1053941 and if it does not work try the Discussion Group advice to create another Windows user account with administrator rights. Want to export layouts to separate drawings? This can be done with LayoutsToDwgs.lsp that recently was updated to handle Map prompt with WBLOCK “Include AutoCAD Map information in the export? [Yes/No] <Y>:”. Export Paper Space tabs to individual drawings made easy and works for most AutoCAD versions and verticals. AutoCAD 2013 came with the new Autodesk 360 icon showing up in the places list in file dialog boxes like the open or save as drawing dialog boxes. If you as a CAD Manager wants to remove it automatically from a lot of machines it can be done. To manually remove it is easy, just right click on any of the icons in the places list and you can remove, add or restore. If you have a network drive or folder location it is even possible to add it too. DimNotes price has been lowered and can now be downloaded and installed as an app from the Autodesk Exchange Apps site for AutoCAD 2012 and AutoCAD 2013. 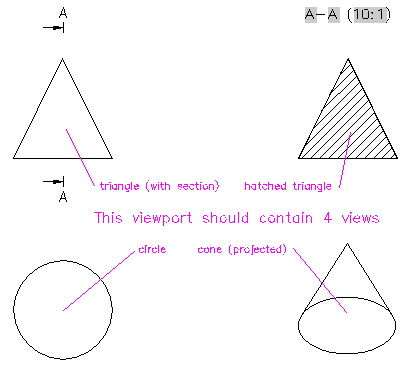 If you often add notes or comments or want to override dimension text in AutoCAD DimNotes can save some time for you. Purchase is also available through this site. 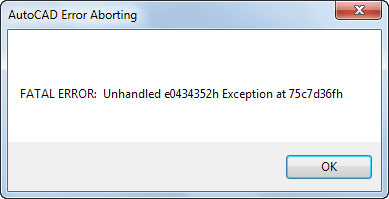 I got this error when trying to copy text from the command line in AutoCAD Architecture 2013. Same problem using paste to command line. I could reproduce it several times but not on another computer. A restart of the computer did help for some reason. Unfortunately the problem with acad.exe The application was unable to start correctly (0xc0000043) is not solved and reinstalling have not helped. AutoCAD 2013 introduced the new DWG 2013 file format and CAD Studio has released an updated version of their popular benchmark drawing for testing of DWG-compatibility - BUDWEISER.DWG. Now you can test if the AutoCAD clone that adds DWG 2013-support can handle the news. Not sure if any of the non-Autodesk DWG compatible applications have support for DWG 2013 yet though. In AutoCAD 2013 there is a new bug introduced. When running Wipeout in a non WCS UCS the first coordinate is not drawn where you click. Time for a hotfix or to be included in AutoCAD 2013 SP1. Workaround is to draw a rectangle or polygon and convert it to a wipeout. But here is the erroneous result with the first point picked ending up way off. http://usa.autodesk.com/compare-autocad-products/. Select up to 5 products to compare and you can filter to narrow your choices to General Design, Building Design, Infrastructure Design, Product Design, Factory Design or Plant Design. 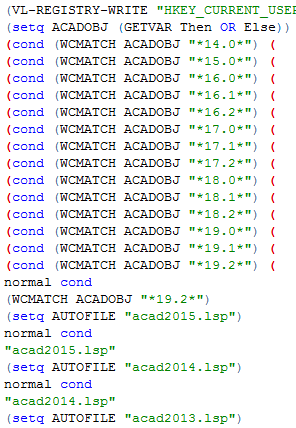 And here is what it look like when comparing AutoCAD vs AutoCAD LT. Compare prices and features to easier find what AutoCAD product fits you best. Finally there are buttons to try or buy any of the products. I got a tip about a site that among other topics compare CAD Software. You can compare and filter software by features, effects, price, platforms, and more. AutoCAD Architecture 2012 Service Pack 2 is here. NOTE: When AutoCAD 2013 and AutoCAD Architecture 2013 are installed side by side, uninstalling Service Pack 2 on AutoCAD Architecture 2012 will cause AutoCAD Architecture 2012 failing to launch. To work around, uninstall and reinstall both AutoCAD Architecture 2012 and Service Pack 2. Get the AutoCAD Architecture 2012 Service Pack 2 download here: DL19684160. AutoCAD 2012 SP 2 is included. Dimension lines created in previous versions of AutoCAD Architecture might not display in AutoCAD Architecture 2012. Installing Service Pack 1 on Nordic version of AutoCAD Architecture 2012 displays an Installer Information error message. Installing Service Pack 1 in silent mode on Nordic version of AutoCAD Architecture 2012 fails. Some body modifiers might not display after installing Service Pack 1. Have you got this Sync Error: A customization sync error has occurred? One way to avoid this is of course to sign out from the Autodesk account or disable the feature in Options > Online. See further details below on that. In the system tray you might get Autodesk 360: Sync Error: An error occurred while synchronizing your documents with Autodesk 360. Now there is a solution available for this Autodesk 360 Sync problem. Unfortunately the hotfix does not help to solve the error I have. Download here: DL19683742. This hotfix is for AutoCAD 2013 based products and Inventor 2013. Here are some processes that you might see in Task Manager that are related to Autodesk Sync. I’ve seen that some of these processes have used a lot of CPU and RAM. I’ve seen that AdSync.exe have been using up to 1 GB in virtual size. You cannot uninstall Autodesk Sync from the Control Panel, but you do not want your products Syncing your information to the Cloud. To uninstall the Autodesk Sync component, you must first uninstall all the Autodesk products that rely on the component and then uninstall Autodesk Sync. (Re-installing products will also re-install the component.) So if you want to still have the newer Autodesk products installed, but don't want to have them using the Autodesk Sync functionality, you will need prevent the Autodesk Applications from using this component in an alternative way. Autodesk Sync is a desktop software component of the Autodesk 360 cloud platform. Some Autodesk desktop applications rely on this technology to move data between the local desktop environment and Autodesk 360. AutoCAD 2013 and AutoCAD 2013 Vertical Products use Autodesk Sync for Customization Sync, Online Documents, and the Share Document feature. 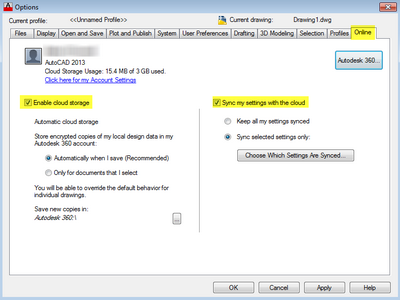 Inventor 2013 uses Autodesk Sync when you choose Save & Send to Cloud. Showcase 2013 uses Autodesk Sync when you choose Publish > To Web. Rather than uninstalling the Autodesk applications that rely on Autodesk Sync, below there are two suggestions for keeping Autodesk Sync installed, but preventing the Autodesk applications from using the component. Autodesk Sync only synchronizes data when signed in to your Autodesk Account--and even then, only when you use features that rely on the component. The simplest way to keep Autodesk Sync from running at all on your computer is to sign out of your Autodesk Account. You can tell if you are signed in because your Autodesk ID will appear in the InfoCenter (AutoCAD and Inventor) or in the status bar at the bottom of the main window, (Showcase). If you see the words, "Sign In" instead your Autodesk ID, the sync component will not run – it only runs when there is a signed in user. Note: Your Autodesk Account Sign In is linked globally to every Autodesk application. If you sign out in any application, say AutoCAD, for example, you will be automatically signed out from every other Autodesk application on the same computer. You are experiencing Sync Errors when using an Autodesk product. Autodesk will need to review the log files related to your product and will ask you to send them the sync log file so they can see what is happening. Since the log files are disabled by default, you will need to enable logging first. When you are asked to send an Autodesk employee the sync log file, you will first need to enable this function. Sign out of Sync inside AutoCAD or any other Autodesk product using Sync. Double click the reg file to enable the logging. Restart your computer and launch AutoCAD or the product that needs logging enabled. Sign into Sync if you are not already signed in. Run for at least 30 minutes to let the log file gather information. Using Windows explorer, navigate to the location of the log file. We will want the following files. If you still experience problems with Autodesk Sync you can leave feedback at Community-powered support for Autodesk 360.